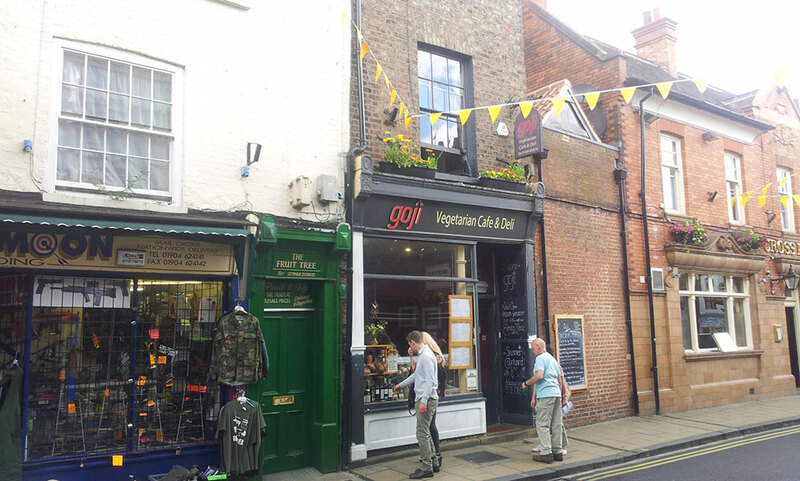 This small but perfectly formed vegetarian paradise is a few seconds walk from Monk Bar. 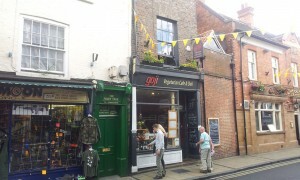 It’s a deli as well as a cafe and the food is exceptional – much of it is vegan, too. With the house special mushroom burger, organic beers from local-ish brewery Sam Smiths, and an evening menu on Fridays and Saturdays, there really is something for everyone here. It is also perhaps the most incongruously located vegetarian cafe in the country, situated as it is next to the Blue Moon Gun shop. The national dish has never tasted better than from Drake’s and a visit to the city isn’t quite complete without ordering ‘one of each’ and sitting in St Helen’s Square to watch the street performers. However if you don’t want to sit outside – or the weather doesn’t let you – then there is also a restaurant behind the takeaway with the friendliest staff in the world. 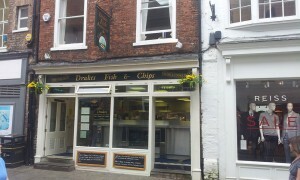 If you’ve never had scraps with your chips then now is your chance – they are free! 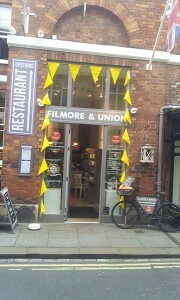 If you are feeling guilty after the fish and chips then make your next stop Filmore & Union. 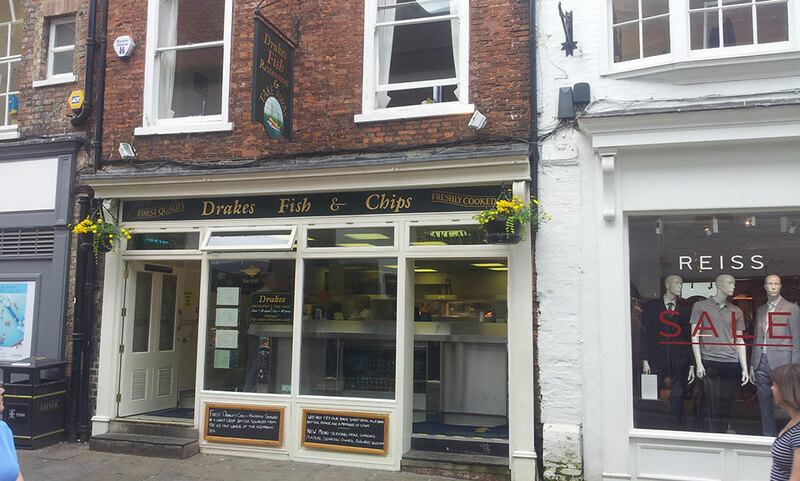 It’s a small Yorkshire firm that believes in natural, wholesome and tasty food. 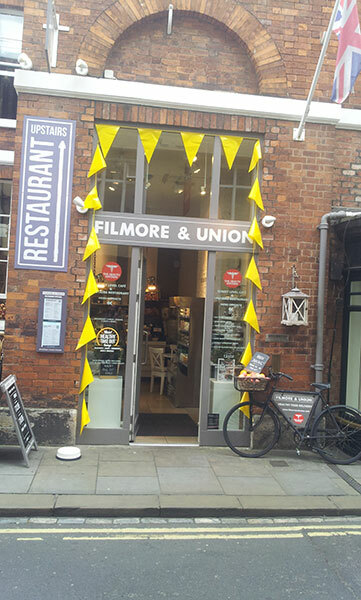 The first floor is a cafe with many healthy options but the restaurant upstairs is where it comes into its own with quinoa salads, Turkey burgers, and broccoli and lentil cakes – ‘California-style’ healthy dishes, to quote F&U themselves. You can buy to take away – and the coffee is excellent too. Posted by YorkTalk on May 27, 2015 in Uncategorized. "...just the right size to take with you as you walk round the walls..."
"A good read which has continued after the city." "Good book to plan a visit to York. " Buy from Amazon.co.uk here or download the Kindle version here. If you are in Europe you can also buy from your local Amazon website by searching for the ISBN above. Take a look at the article in York's Evening Press.